With their core range of four now in the market, Frase and Grum have had time for the first time in a while to put together another of their single batch numbered releases. 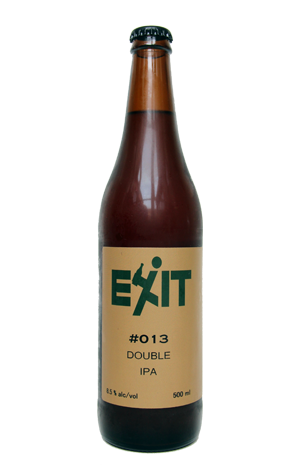 And it's a return to hops: a double IPA that follows a number of variations on the theme from Exit. That said, it's distinct from the core range IPA and #011, their popular West Coast IPA, both of which kept all things malty restrained to let the hops take centre stage. Here, malt has been allocated equal footing as is instantly apparent from the deep copper hue. The impressively dense and long-lasting head offers up both creamy caramel and plenty of hop aromas: tropical, piney, musky and ripe pineapple in character. And, despite the relative sweetness (compared to previous IPAs from the pair), a distinct grassy, resinous bitterness makes itself known too.